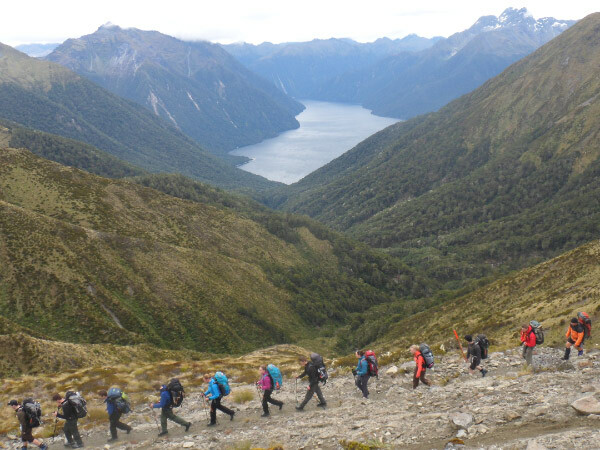 Twelve cadets and staff have just returned from a Sussex Wing ATC led expedition to South Island, New Zealand, made possible thanks to a year of planning and fund raising activities, and the generous support of among others the Ulysses Trust and the Singleton Trust via HQ Air Cadets. 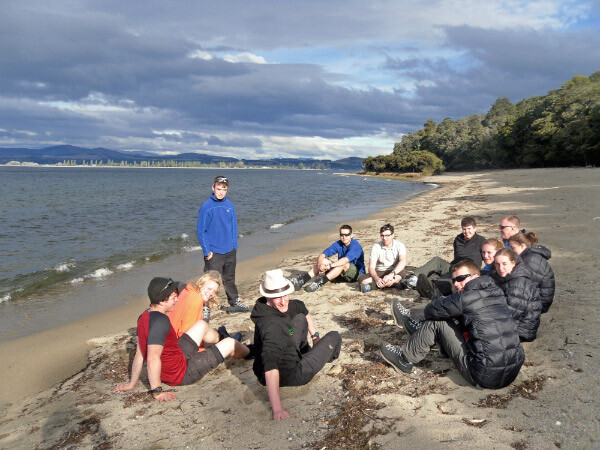 The expedition aims to give senior cadets the motivation to remain in the Corps and the opportunity to develop soft skills in areas including leadership, communication, teamwork, problem solving and budgeting, the idea being these skills would prove useful in both a Services or Civilian career and would sit well on any CV. The trip was based in South Island and lasted a total of 18 days (including travel). The trip started with a Whitewater rafting trip down the Shotover River with rapids up to grade 4 culminating in a grade 4 water slide dropping 10ft called the Cascade. Jet lag now solved, the team relocated to Te Anau, on the edge of Fiordland National Park, the wettest place in NZ but also a World Heritage Site for its unrivalled beauty. 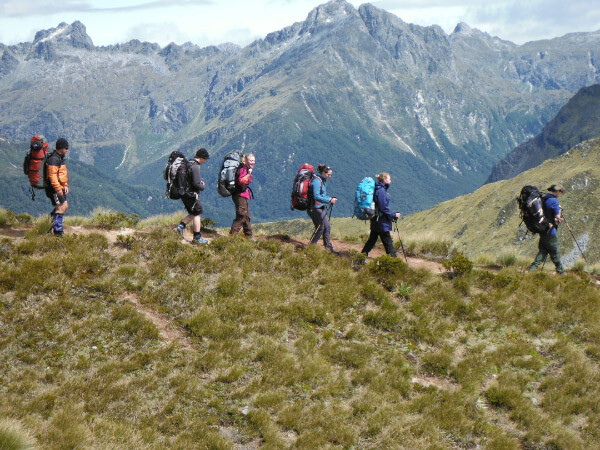 Here the team completed the difficult Kepler Trek, 60km in 4 days carrying full expedition kit with two wild camps and a hut stay in the middle. The terrain was almost tropical rain forest on first and last days but the two middle days gave unbelievable views of glaciated valleys and fjords, not too dissimilar to the Lake District. The team also summitted Mt Luxmore at 1485m the highest peak in the area. Prior to the trip the team has made contact with the Dept of Conservation and agreed to help with some community tasks. Whilst at Luxmore Hut they helped the Hut warden prepare a new access path for the hut, so other users would cause less environmental damage in the future. On return the team moved onto their second project, the clearing of a Wilderness area in the National Park, of rubbish from passing motorists and wild picnickers as well as identifying and removing non-indigenous vegetation such as Wilding Pine and Broom which was choking out the natural habitat for a number of birds and rodents. Over two days the team removed several piles of vegetation, three black sacks of rubbish and a van full of wire and metal guttering dumped across the site!!! 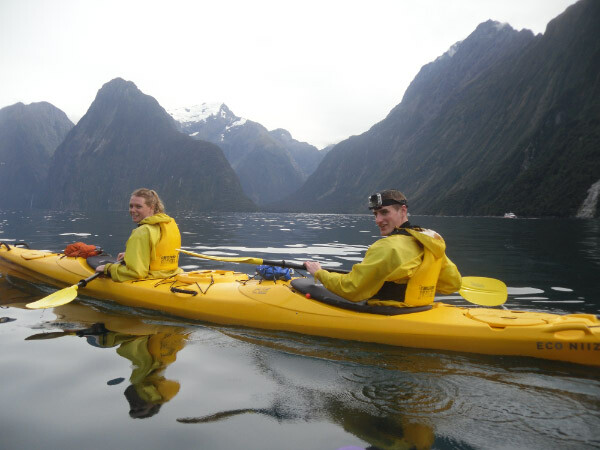 The team then moved on to Milford Sound where they had the pleasure of a sunrise sea-kayak in the shadow of the famous Mitre Peak, flanked by steepling glaciated valleys and waterfalls, and paddling with seals, a suitable reward for their hard work. 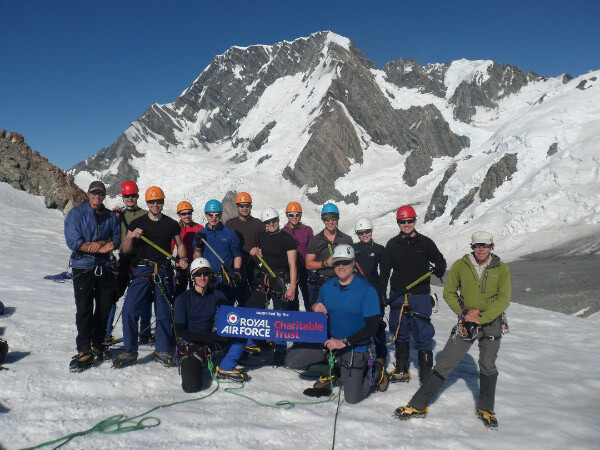 Lastly the team relocated to Mt Cook area where they did some AEF NZ style by flying by helicopter up onto Plateau Glacier, in the shadow of Mt Cook (NZ’s highest peak) for a 2 day winter skills course. 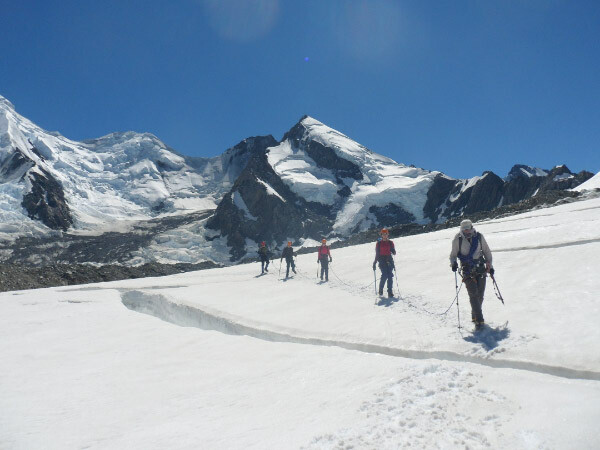 On Day one they learnt the skills of glacier travel, roped up with ice axe and crampons, as well as the theory of avalanches, arresting falls, self arrest techniques and crevasse rescue. Day 2 consisted of an early start to get the hard frozen snow to reach a mid morning summit of Glacier Dome – 2554m, a peak on the North flank of Mt Cook with magnificent views of the Mt Cook / Tasman Massif well as views back down the Tasman and Ball Glaciers to Mt Cook village. 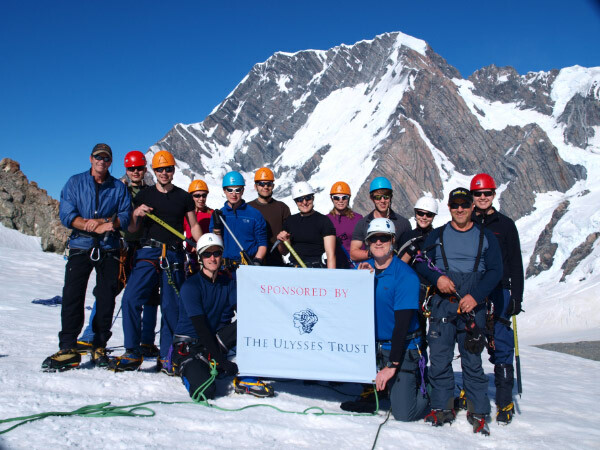 Using their new skills to good effect the whole team summitted together to cap off a fantastic trip before the long haul back to the UK, with lifetime memories and stories to tell.